The Aston is a high quality cast iron stove with contemporary styled brushed steel knobs knobs and robust controls and riddling grate. Now with 5 year stove body warranty. 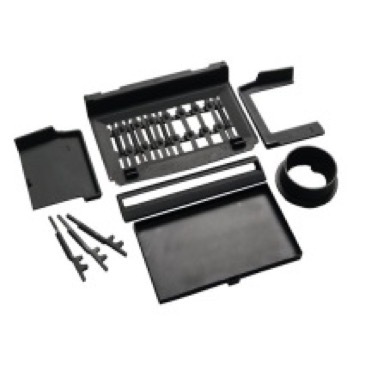 More warranty details can be read in the manual which can be downloaded below. - Minimum of 12mm thick hearth required, as hearth temperature does not exceed 100oC. - Airwash system to keep your glass clean. - High quality cast iron stove. - Primary and secondary air controls. 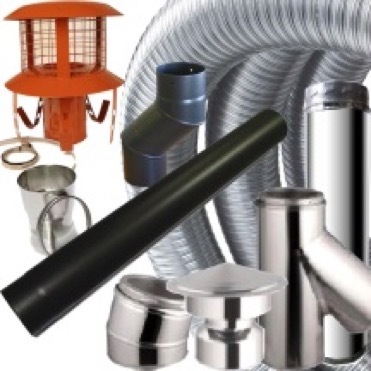 - Choice of a top or rear flue outlet (interchangeable). - Suitable for burning dry, seasoned wood, anthracite / manufactured coal or smokeless fuels. Is this acceptable for a 12mm hearth on a narrow boat? Also can it be fixed to the hearth, or is there a suitable alternative? This stove has been approved for use on a 12mm hearth. There isn't a floor fixing kit for it but there are other stoves which meet you needs please contact us for a list. Does this burner have an air wash system? Yes I can confirm it does. I can confirm full dimensions can be found under the 'Additional Information' tab inside the details of each stove. Can you tell me what 4-6kw stoves that you sell have a brick liner. 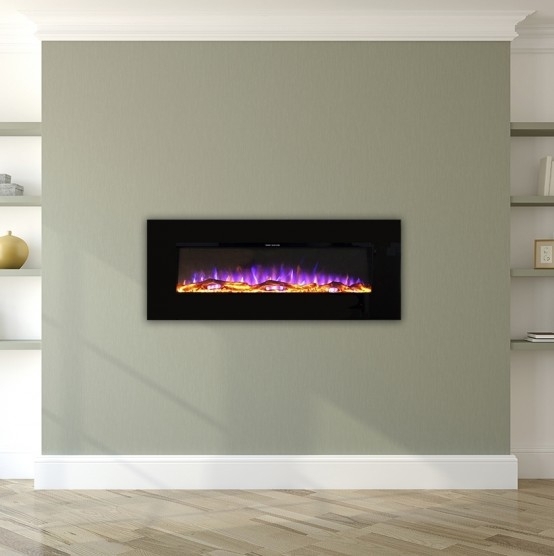 Dimplex, Carron, Arizona are an example of the stoves that have brick liners. Other stoves have vermiculite or cast iron liners. Mazona Aston stove has cast iron liners. Excellent fire. Easy to fit and generates great heat. I would recommend this fire - even for a large room. Efficient service and good quality product. We requested this product online and it was delivered promptly. The stove was well packaged and protected so it didn't suffer any damage during delivery. It is very good value for money. We have had it installed by a reputable stove company which cost a fortune, knocking out the fireplace and re-plastering, but it looks good. They carried out a test fire in the stove and it worked well. The only thing missing, which the stove fitter noticed, was that there was no means of raising the feet. This was needed as one foot was slightly wobbly and needed to be lowered to match the others. Apparently most stoves have this facility. Otherwise, we are looking forward to winter to try it out thoroughly. I ordered the Aston 5.5kw stove and am very pleased with it. Service and delivery was excellent, the delivery company phone me to arrange a drop off which was convenient for me. The stove keeps us very ‘ toastie’ and seems very efficient when burning logs and coal. I’ve even managed to keep it in over night which I was thrilled about. The Mazona Aston was everthing I hoped it would be, well made, well finished, very well packed and at a very competitive price. It was delivered on the day and time promised. I was amazed at how efficient it is in warming the room so very quickly. I am very happy with my purchase and gr8fires for their prompt, professional and friendly service. Great little stove, received back in November. Delivery was fast and efficient and no additional delivery charge despite being delivered to NE Scotland. Ash pan was missing but very quickly sent out and was here by the time the stove was installed. Once up to temperature, the stove is efficient enough to keep an old farmhouse living room and hallway, very very warm. I am so happy with my purchase and won't hesitate to use gr8 fires again. Excellent product, really pleased. Bit of a mess up with delivery of flue section, but efficient staff managed to deliver in time for Christmas. Had to have installation man in for two days though. I have been using this stove for a week now and it is just perfect. It keeps the whole of my downstairs warm if I keep the doors to the hallway and kitchen open. I live in the highlands of Scotland and delivery only took 5 days and there wasn't a delivery charge! Well done Gr8, this was the reason I chose your company and all the great feedback from your satisfied customers. I am now one of them. I fitted stove using back inlet collar with 400mm of 125mm pipe. stove is easy to light,very eco when burning logs,stays burning all night,burns logs down to white ash, All in all a cracking little stove at the right money, I am very pleased with not only the stove but also the outstanding service I recived from G8 I will be dealing with this company again. Nice little stove, not sure if it's getting to full power. delivered quickly, great looking stove and good value for money. My only concern is the control knob at the top, bit difficult to move and not much room to get hold of it especially when you have your fire mit on ! Great small well priced stove , good delivery and all is well . Only negative was on first burn the rope sealer around door stuck to body of stove and came adrift . Soon secured back in place although slightly damaged. Gr8fires reply: Sorry to hear about the rope Garry, get in touch with your order number and we will send you some rope glue. This can happen as the paint cures it is soft and quite tacky. Once the paint is cured it will no longer happen. I was delighted to receive the Aston 5.5kw stove and flue so soon after ordering too, especially living in the far north of Scotland which can cause delays and a premium on delivery. I found the quality of the stove absolutely brilliant and it is up and running in the workshop. What a great find this company is and a pleasure to do business with. Smooth transaction, quick delivery. Haven't tried it yet but quality looks good. hi the look of the stove is great we are very pleased, the delivery was very convenient and we are now checking out skilled installtion crews. I have been using my wood burner for just over a month now and I love it, it fits in very well with my vintage room. It is well made and can't find anything bad to write about it. Delivery was quick, but be aware that the driver only delivers to your front door step and it's very heavy to lift on your own, I got two neighbours to help bring it in. For a small unit it certainly pumps out lots of heat and is more than adequate.